If you get hurt at the Pembroke Lakes Mall in Pembroke Pines, then you would be well-served to speak with a Pembroke Lakes Mall accident attorney. You have rights and you should be informed of what you need to do and what you can expect. 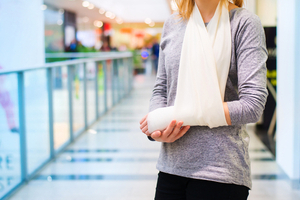 At the Wolfson Law Firm, our mall accident lawyers are available to assist anyone injured due to an accident or intentional act at Pembroke Lakes Mall. 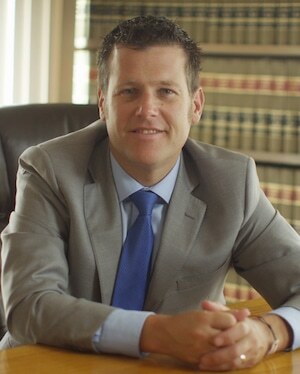 We have a bilingual staff and our managing trial attorney, Jonah Wolfson, is a bilingual personal injury attorney serving Pembroke Pines and all of South Florida. We have offices in Fort Lauderdale, Miami and West Palm Beach where we can meet you by appointment. We can also come to you. It is your decision. But no matter what you decide, make sure to get the answers to your questions so that you can get the justice and compensation you deserve. Call us now to get started at our toll-free number 855-982-2067 or in our main offices in Miami at 305-285-1115. Found in Pembroke Pines, Florida at 11401 Pines Boulevard, Pembroke Lakes Mall has provided for its community since late 1992. General Growth Properties, or GGP, which is based in Chicago, Illinois is the listed owner of the mall. It has four anchor stores, including a Macy’s, a JC Penney, Sears and Dillards. It has an approximate 1,100,000 square feet of stores and entertainment available for its customers. Open until 9:00 PM, the stores serve the surrounding suburb communities in the Pembroke Pines area such as Century Village, Town Gate and the Grand Palms. Pembroke Lakes Mall contains approximately 150 different stores and restaurants, including chain eating establishments such as Subway, Burger King, and Red Robin. Pembroke Lakes Mall is also conveniently located next to Memorial Hospital West, which is part of the Memorial Healthcare System. Malls in South Florida serve several functions. At the holidays, malls are useful to shop fort gifts. Many senior citizens use the malls for walking exercise in groups. In the summer, malls provide a dry and cool place to stroll, eat and shop. Pembroke Lakes Mall and the stores within all want you to come to the mall and their stores. They want you to look at the stores, merchandise and advertising. You are not expected to look for danger or hazards. In fact, the mall and stores all have a legal duty to keep their stores safe. But by enticing you to come, the Pembroke Lakes Mall and the stores in the mall make you an unspoken promise. That they will take care of the floor and otherwise keep you safe from foreseeable harm and in exchange, you will spend your time and money over and over. At the Wolfson Law Firm, our Pembroke Pines injury attorneys have helped personal injury clients since 1963. We are standing by and ready to help you and your loved ones as well. Just call us at 855-982-2067 for your free and confidential consultation. Our Broward personal injury attorneys serve all of South Florida including Pembroke Pines, Miramar, Weston, Southwest Ranches, Davie, Fort Lauderdale, Hollywood, Hallandale Beach, Dania Beach, Cooper City, Plantation, Miami, West Palm Beach and Aventura.